A while back I was asked by a former student about some pending equipment purchases. More specifically, he was trying to decide between buying a new body (In this case a Nikon D7000 or D90) to use with his older, non AF-S lenses, or buying a brand new lens (Nikon F2.8 17-55 AF-S) to use with is current body, a D80. His goal was to photograph indoor sports, so for me, the logical choice was the fast lens. Fast forward to the present. As with so many things, the D80 body is getting up in years, and my former student is now looking to purchase a new body. Instead of returning to the D7000/D90 debate, he proposd gettting a D3200. 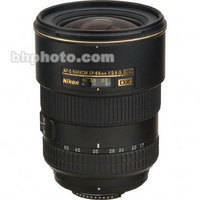 He reasoned that since I had recommended the purchase of the aforementioned lens over the new body. a D3200 should be adequate for his needs. After all, one might infer that my earlier recommendation was based on the assumption that the lens itself was the more important contributor to a quality photograph. I can't help but feel my comments were taken out of context, since I was actually asked to choose between upgrading a body or buying another lens. I felt that given the lenses he already had, there would be no appreciable improvement in performance if a newer, more efficient camera body were used. However, the 17-55 was an AF-S lens, which meant an automatic boost in focusing speed, and a constant aperture 2.8, which meant he could potentially shoot at F 2.8 at all focal lengths, a definite plus for improved low-light performance. Now the Nikon D3200 is the newest entry level camera from Nikon. It does have one stand-out feature: a 24 Megapixel Sensor. That's a lot of dots, perhaps too many, according to Ken Rockwell, the blogger who wrote the evaluation. I am not as "dot crazy" as many photograpers are, but my luke warm embrace of the D3200 as my student's next camera is not based on it apparent over-abundance of pixels, but rather the camera itself. Here are some reasons why I would not recommment the D3200 as a replacement for his venerable D80. Adjustments Through Menus: The number of features in the little D3200 is amazing. However, many of the ones I commonly use are menu driven, meaning that a signifigant amount of time could potentially be wasted trying to navigate through menus and sub-menus whenever an internal change had to be made. On the other hand, the D7000's ISO settings, White Balance Presets, and Metering Modes have their own external buttons. Focusing mode changes (Focus Mode, Auto Focus Area Mode) are also controlled from the outside. In addition, the D3200's lack of a Secondary Command Dial makes manual aperture adjustments awkward at best. And because the D3200 body requires the use of AF-S lenses, his older AF (only) lenses would only focus manually. Small Size: I find the D40 Clan (the base body size from which all of Nikon's entry level cameras are derived) is too small. I find that when I'm in the Single AF Area Mode, I often accidentally change the active focusing brackets. This could have been solved had Nikon included a Lock Lever like the one found on the D7000. To be fair, I mounted the 17-55 on my comparibly sized D40 body and found the combination poorly balanced. Sure, it worked, but the "feel" just wasn't there. Build Quality: I suspect, but can't prove, that most D7000 bodies will outlive most D3200 bodies. We may never know, since must buyers of entry level cameras don't rack up the exposures at the same rate as production shooters. But all in all, it would be a rare photographer who would bet his or her reputation, professional or otherwise, on the survivability of a D3200 in an environment requiring a heavy shooting schedule. Many of the conclusions on the D3200 came from Ken Rockwell's Blog on the camera. I often recommend his blog as providing good, solid recomendations on equipment and techniques for most photographers. But as your photographic horizons grow, you'll be placing more demands on the adaptability of your equipment. The skill set you'll obtain through Ken's blog will satisfy most tastes and needs. But when the time comes when your skills go beyond merely shooting in Aperture Priority, you'll need a camera that has the features that will keep up with your skillset. You'll find a lot more growing room if you go with a full featured camera. 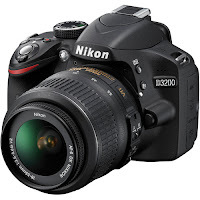 Addendum: December 12, 2012: An important feature is lacking in the entry-level Nikon DSLR cameras: The Commander Mode feature for the built in-flash. This allows the user to control a comptible Nikon speedlight wirelessly from the camera. A valuable feature if you own a Nikon SB600, SB700, SB800, SB900 or SB910 speedlight.